Nearly 20 years after the passage of Prop 215, California may finally get statewide medical marijuana regulation; the Illinois governor's veto pen has an impact, but also gets blunted; there's a new report on drug policy and human rights in Latin America, and more. Illinois Decriminalization Bill Dies… For Now. The bill, House Bill 218, passed out of the legislature, only to be the subject of an amendatory veto by Gov. Bruce Rauner (R), in which he made several changes to the text of the bill. Now, the clock has run out on the legislature approving that language, but a new bill is expected to emerge and the state could still pass decriminalization this year. California Legislators Set to Pass Historic Medical Marijuana Regulation Package. Before day's end, the legislature is expected to approve bills that would finally bring statewide regulation to the thriving industry. The bills, Assembly Bill 266 and Senate Bill 643, are to be amended and passed today and then signed by Gov. Jerry Brown (D). Passage should create a full-fledged, highly regulated system with licensing for all stages of cultivation, production, distribution, and sales. Illinois Governor Vetoes Medical Marijuana for PTSD. Gov. Bruce Rauner (R) Thursday vetoed a measure that would have allowed people with Post-Traumatic Stress Disorder to qualify for medical marijuana. His administration also refused to expand access to medical marijuana for 10 other ailments. The Illinois Medical Cannabis Advisory Board had recommended adding the 11 conditions, but Rauner killed PTSD and the Department of Public Health killed the rest. Rauner said expanding the program was premature. Senators Call for Review of FDA Decision on Oxycontin for Kids. A bipartisan group of senators have asked the Senate Health, Education, Labor, and Pensions Committee to investigate the Food and Drug Administration's August decision to approve the use of the powerful pain reliever in pediatric patients. The senators called the FDA move "a step in the wrong direction" in the face of growing levels of opiate dependency and abuse. Illinois Legislature Overrides Veto of Heroin Treatment Funding. The state Senate Wednesday voted 44-11 to override Gov. Bruce Rauner's (R) veto of portions of an omnibus heroin bill that would have mandated Medicaid paying for drug treatment for heroin users. The state House had already voted to override, so now the whole range of House Bill 1 will go into effect. California Legislature Kills Asset Forfeiture Reform Bill. Under heavy lobbying pressure from law enforcement, the state Assembly Wednesday killed Senate Bill 443, which would have reformed civil asset forfeiture in the state. The bill had enjoyed bipartisan support and nearly unanimous votes prior to the final Assembly vote. But there is still a chance the bill will be reconsidered and passed today, the last day of the session. Stay tuned. Senator Kelly Ayotte Introduces Bill to Increase Fentanyl Trafficking Sentences. Sen. Ayotte (R-NH) Thursday filed S. 2027 to increase penalties for the synthetic opioid. There are no particulars on the bill available yet. Rep. Maxine Waters Introduces Bill to End Mandatory Minimums for Drug Offenses. Rep. 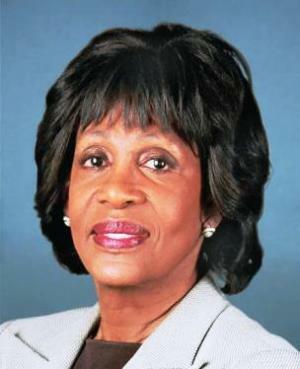 Waters (D-CA) Thursday filed H.R. 3489, "to eliminate mandatory minimum sentences for all drug offenses." There are no particulars on the bill available yet. New Report Examines Drug Policy and Human Rights in Latin America. The Argentine Center for Legal and Social Studies (CELS) has released a new report, The Impact of Drug Policy on Human Rights: The Experience of the Americas, covering a wide range of issues, from long prison sentences for minor drug offenses to the way harsh drug policies run counter to international human rights standards. The report also highlights how such policies have a disproportionate effect on the poor, minorities, and other vulnerable members of society.